Impressive handling and strong performance. Very well equipped as standard. Refined and comfortable despite the firm suspension. DSG-only from launch with manual from late 2018. Lacks the raw appeal of some hot hatches. Fiesta ST is cheaper and more fun. The Polo GTI has always sat in the shadow of its bigger Golf counterpart. But now it seems Volkswagen is aiming to make the Polo GTI a serious hot hatch in its own right. And one that can match the excellent Fiesta ST.
That explains why it now has a bigger 2.0-litre turbocharged engine producing 200PS and giving it a 0-62mph time of 6.7 seconds. This makes it the most powerful factory Polo GTI ever produced but it's on par with the 2005 Golf GTI. 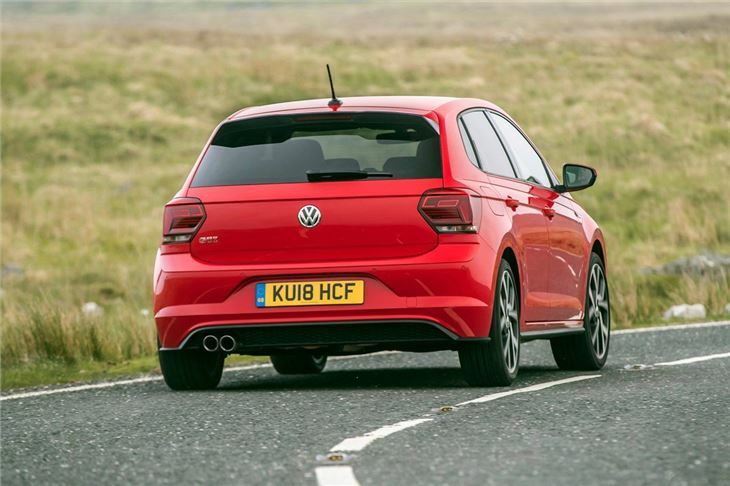 At first glance, the Polo GTI isn't all that different to look at than a Golf GTI. Indeed, it's easy to mistake one for the other, especially from the front. 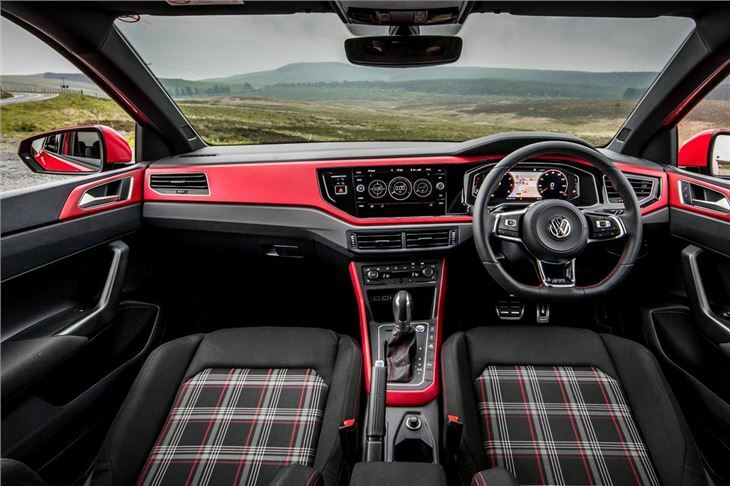 And those styling similarities continue inside with the trademark GTI chequered seats and a flat-bottomed steering wheel. That's no bad thing of course. 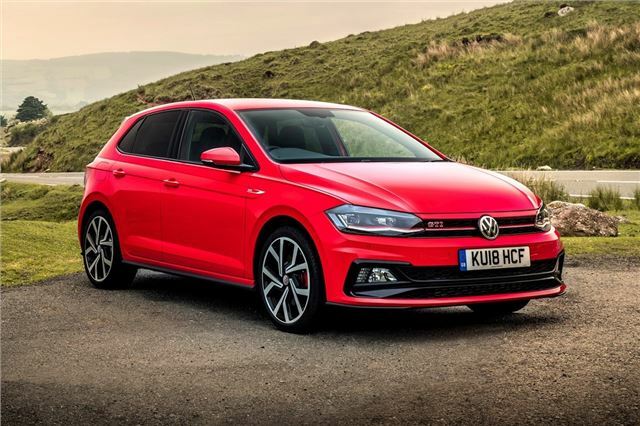 The Golf GTI is still renowned as one of the best hot hatches around and this deliberate move by Volkswagen to make the two look similar (there's no Polo badge on the boot) makes the Polo GTI much more desirable than it has been in the past. The quality inside shines through and this is a big step forward from the old car in terms of the quality of the materials used and the design. It feels a much more premium car than the old model which was always hamstrung by the very drab Polo it was based on. It's very refined too with an impressively forgiving ride for a small hot hatch. Yes the suspension set-up is firm, but it doesn't crash over potholes and the dampers minimise vibration into the cabin, while road noise is well insulated. 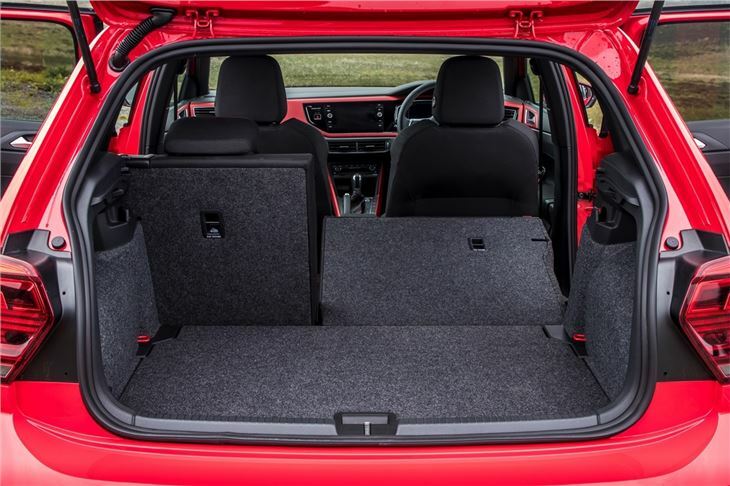 It means that on the motorway, the Polo GTI is a very comfortable and quiet cruiser - not what you'd expect of a hot hatch. 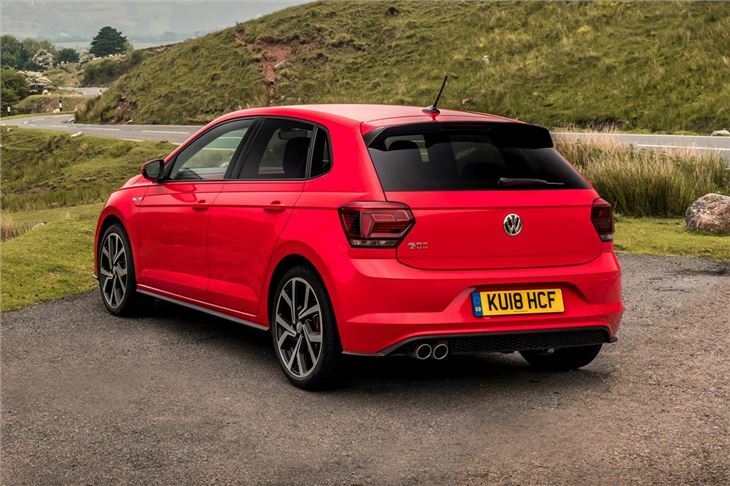 Get the Polo GTI onto a quiet road and it continues to impress with lots of front end grip and plenty of poise through corners. It's helped by the XDS system while there's very good traction, especially for a front-wheel drive car with 200PS. Is it the most fun hot hatch out there? We'd have to say no. 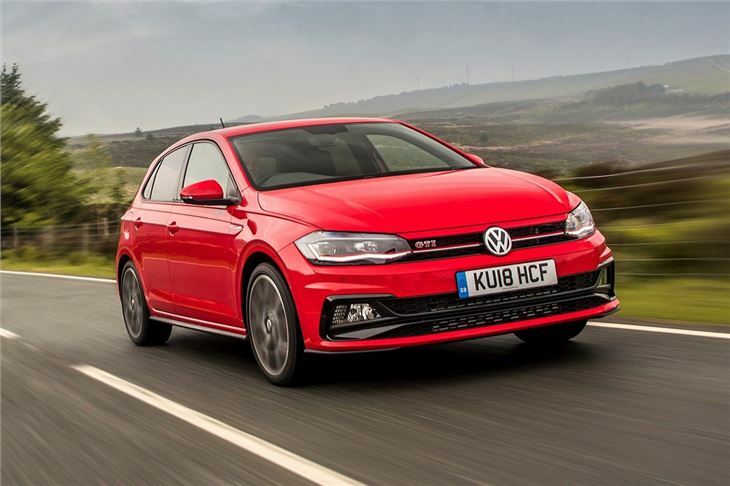 It's enjoyable to drive, but doesn't provide the same involvement as a Fiesta ST. We'd like a bit more drama, such as a louder exhaust - there are no pops or bangs when you come off the power - and more aggressive gear changes in the DSG. It feels like it just needs to be turned up to 11. 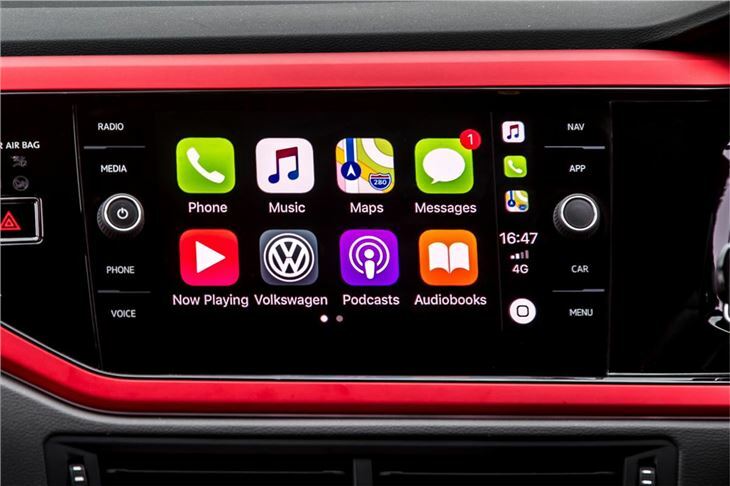 That's not to say the Polo GTI isn't a very accomplished car - and indeed a very capable one. But unfortunately it doesn't get the pulse racing the way you expect a hot hatch too.